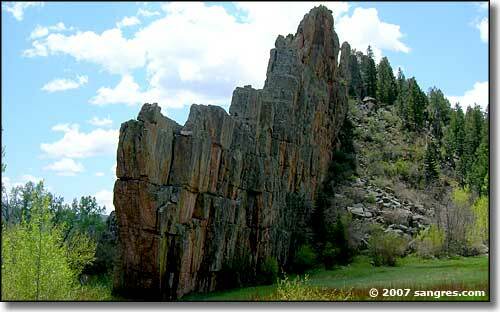 The Dakota Wall is a formation of Dakota sandstone that stretches all along the Front Range of the Rocky Mountains. During the Laramide Orogeny (65 million years ago), the great mountain building forces that created Front Rangia (part of the Ancestral Rocky Mountains) pushed upwards along this line and the Dakota formation broke and turned vertical. Over millions of years the Ancestral Rockies were weathered and eroded back into flatland but sections of the Dakota Wall remained. Some portions of this older wall can still be found along the west side of the Sangres in the San Luis Valley. 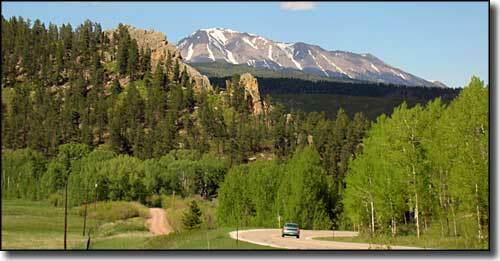 About 30 million years ago the process that built the modern Rockies about 50 miles east of the Ancestral Rockies began. This process saw the uplift of the Wet Mountains and Sangre de Cristo's in this area. The Sangres are fault block mountains - there are faults along both the east and west side of the mountains and the mountains themselves were raised up in one big chunk of rock. 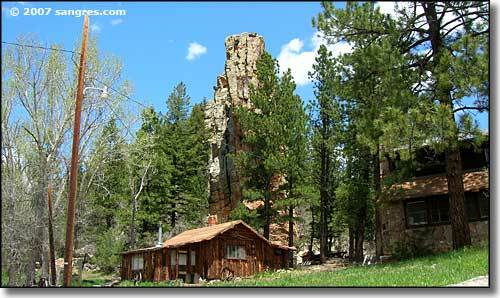 Along the fault line on the east side of the mountains, the Dakota formation was again broken and turned upright. 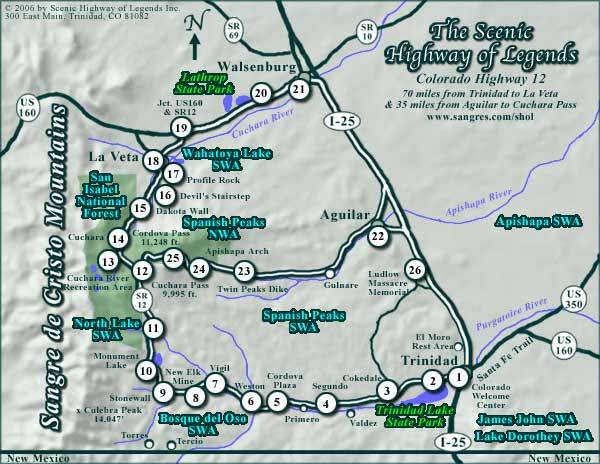 These are the great sandstone walls we see when traveling up the valley from Stonewall, over Cuchara Pass, through the Cuchara River Valley and on up into La Veta Pass, Pass Creek Pass and northern Huerfano County. In many places along this journey you can see where the ground was actually folded and broken by the pressures along the fault line. The Wet Mountain Valley is a fault block valley in that there are faults along the east and west sides of the valley and the valley floor dropped when the mountains rose. There are sections of the Dakota Wall visible above ground along the east side of the valley, in the western foothills of the Wet Mountains. Other places where the Dakota Wall sticks out above ground are the Flatirons near Boulder, Garden of the Gods near Colorado Springs, and Garden of the Gods near Los Cerrillos, New Mexico.